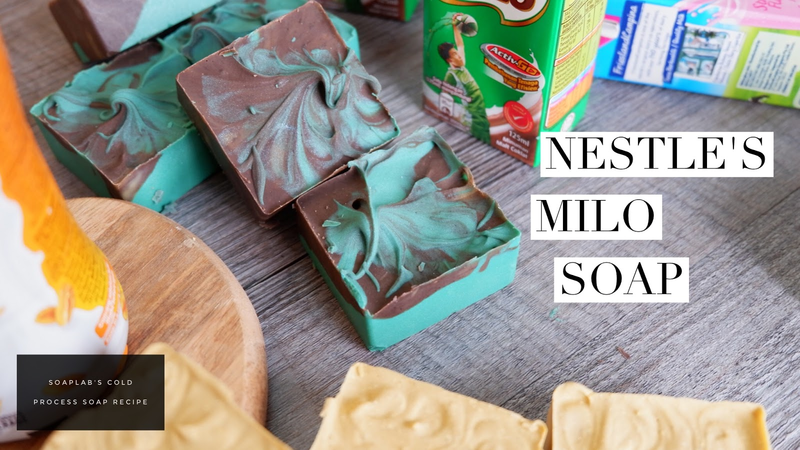 Milo is Malaysia’s favorite beverage, and in honor of that, let’s make Milo soap! With a cold process soap, you have control over the ingredients added. You can design a soap best suited for your skin type. Combine lye with distilled water and castor, olive, coconut and palm oil. Each of these oils act as a moisturizer to the skin, and its different properties aids in revitalising your skin. Palm oil and olive oil are rich with Vitamin E, which is essential in treating skin conditions such as eczema. The combination of these properties combat dryness of the skin, and help maintain natural oils. Add café caramel and vanilla bean fragrance oil for an invigorating and aromatic smell, which will keep you hooked. For, the Milo soap color, add green mica and iron oxide brown. Finally, add the secret ingredient, Milo itself! Soap for champions!